Jon Humphrey received his B.M. degree from the Baldwin Wallace Conservatory of Music and his M.M. from the University of Illinois. 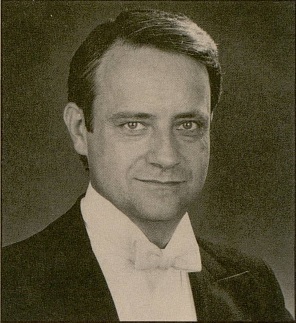 He has attained fame as a tenor soloist. Making his debut with the Cleveland Orchestra in 1959, he has since established himself as one of the leading oratorio tenors in the United States, appearing with many major symphony orchestras and choral societies including the Philadelphia, Toronto, Atlanta, Detroit, Boston, New York Philharmonic, Indianapolis, Cincinnati, Dallas and San Francisco orchestras, and the Handel and Hayden Society of Boston. Mr. Humphrey has performed on national tours with the Robert Shaw Chorale, the New York Pro Musica and the Gächinger Kantorei of Stuttgart. In 1962, he also toured the Soviet Union as a soloist with the Robert Shaw Chorale. He has participated in the Aspen, Meadowbrook, Casals, Mostly Mozart, Oregon Bach, Blossom Music Center, Saratoga and Marlboro music festivals. Mr. Humphrey was a soloist at Akron’s Blossom Music Center opening and had the distinction of singing at the funeral of Senator Robert Kennedy. He has recorded with RCA Victor, Columbia and Decca. He is now resident artist at the University of Massachusetts. Biographical update: Professor Humphrey taught at the University of Massachusetts, Department of Music, where he was awarded the Philip Bezanson Professorship. Many of his former students have become renowned performers and proudly cite the fact that they were students of Jon Humphrey. He retired in 2002 at which time he was granted emeritus status. Mr. Humphrey continues to serve on the faculty of the Marlboro Music School and Festival in Marlboro, Vermont in the summer. Mr. Humphrey resides with his family in Amherst, Massachusetts.